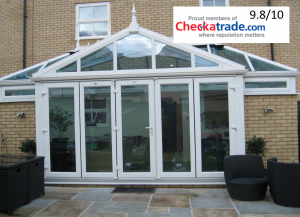 Sovereign Home Improvements is the foremost company when it comes to double glazing in Essex! We cover the whole of the county from Saffron Walden to Canvey Island and from Chigwell to Harwich, so wherever you live in Essex, we’ve got you covered. We are a family owned and run business and we treat our customers and potential customers with the respect that they deserve and in the same way that we would wish to be treated ourselves. However, if you are looking for a sales pitch that starts off with a ludicrously high price and then finds all sorts of reasons why it can magically be reduced to about half of the original, then sorry, but we don’t do that. 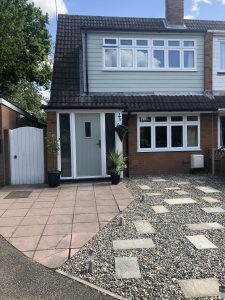 What we WILL do is come and visit you so that we can measure your windows (and doors if you wish) and then give you a fair and competitive price. There is no obligation but we think that you will find our prices extremely reasonable, especially when compared with some of the “big boys”. How? Because as a family business we don’t have a team of salesmen to whom we have to pay huge commissions. Think in the order of 30% for the sales guy and you won’t be too far wrong. 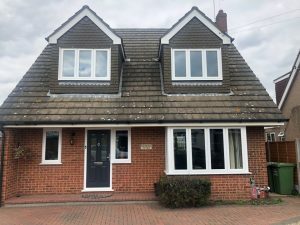 When looking for double glazing in Essex, you can be sure we cover the whole of the county from Saffron Walden to Canvey Island and from Chigwell to Harwich, so wherever you live in Essex, we’ve got you covered. Equally important is the fact that we only use the very best materials and manufacturing processes to produce our windows and doors. We do not and will not cut corners to shave a few pounds off the price here and there. Installing new double glazing in Essex is an investment. But it’s not a “cheap” product, so you need to get the very best value for your money because you don’t want to have to replace it again ten or fifteen years down the line. As such, you need it to last. What we can also do is to offer you double glazing in any style that you wish. We can produce windows in any size, any shape, and in your choice of materials. So you can have timber frames, uPVC frames, or aluminium frames. They each have their advantages, so feel free to ask us what we would recommend for your particular home. These frames – and doors – can be supplied in a variety of different colours as well, including wood-grain effects and finishes, so in the 21st Century, your windows don’t have to be white! 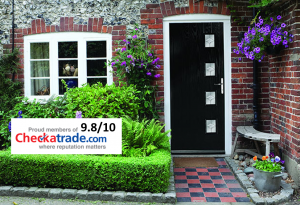 So for double glazing in Essex, talk to Sovereign Home Improvements. 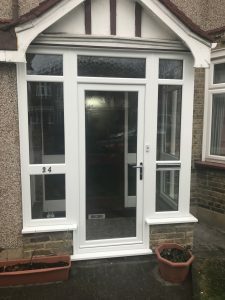 If you are looking for either uPVC windows in Essex or uPVC doors then Sovereign Home Improvements is the company for you. Installing double glazing is not “cheap” even though it is a great investment. This is especially true if you have single glazed windows at the moment because you won’t believe the amount you can save on your heating bills. Even if you have double glazing already, but it is over 20 years old, you will still save money because today’s double glazing is ultra-energy efficient. And from that point of view beats older windows hands down. Our uPVC windows are all A+ energy rated. However, it is not just the cost and energy saving aspects of uPVC windows and uPVC doors in Essex that makes them so attractive. There is also the fact that our windows and doors are very long lasting, and they need virtually no maintenance. They don’t need painting as wood-framed windows do, and if you decide to have tilt and turn windows you don’t even need a window cleaner! They open inwards 90°, so you can clean the outside of the windows without going outside your home. Talking of window cleaning, there is another way of dealing with that chore, and that is by using self-cleaning glass. Yes, despite the fact that it has been around for some while now, most people don’t know that you can have self-cleaning glass in your windows. It has a special coating that breaks down dirt and then the rain simply washes it off. Clever, huh? Of course, it costs more than standard glass, but just think what you’ll save by not having the window cleaner around every month. It goes without saying, or it should do, that your Sovereign Home Improvements windows and doors can be crafted in any style you wish. 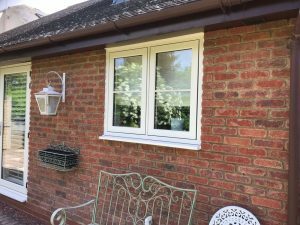 Without doubt, this is the most popular window style is the casement window which is hinged on one side and to open it you simply swing it out. However, it can also be hinged at the top or the bottom of the frame if required. There are many more styles of windows we can supply, one of those being sliding sash windows which don’t have hinges but slide up and down on rollers. Some also have a tilting option to make for easier cleaning. Furthermore, Sovereign Home Improvements only ever uses top quality materials. As with any type of product, there are always cut-price options, but the company believes that what a customer wants is the best, without any cutting of corners, so the best is what the customer gets. Yes, there may be a slightly cheaper option, but when customers are making an investment of some thousands of pounds, they want something that is going to last, look outstanding, and have a guarantee that goes with it. Whatever your needs for double glazing in Essex, just give us a call. We can do it all. 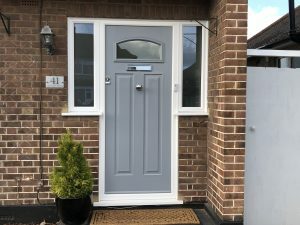 If you are considering new windows and doors for your home, talk to Sovereign Home Improvements based in Grays, Essex. We are the leading installer of uPVC windows in Essex and we can manufacture them in any style that you wish. The most popular style of window in Essex, and for that matter in the UK as a whole, is the casement window. This type of window can be top opening or side opening, or you can have both. Our window frames are made using special resins and stabilisers to make certain that they do not discolour. 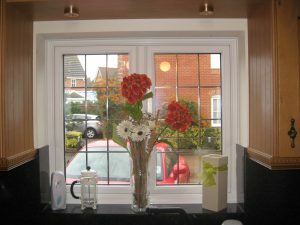 These windows are now also made to A+ energy rating as standard which ensures that your utility bills will be kept low. Indeed, if you are replacing windows that are 20 years old or more you will be surprised at just how much money these new windows will save you. Sovereign Home Improvement windows are also extremely secure. They have a 10-point locking system which is police approved and is called Secured By Design. Of course, you don’t have to have casement windows. You might like to install tilt and turn windows. These open 90° inwards for plenty of fresh air, and it also means you can clean the outside of the windows from inside your home. They can be tilted open at the top which is ideal when you want fresh air in but it is pouring with rain outside. Sovereign Home Improvements Team also builds uPVC front doors in Essex. When you install a new front door, you want it to look amazing. 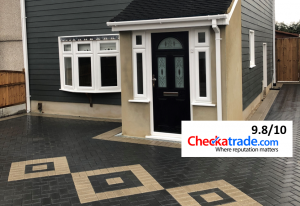 Despite the fact that you may have a beautiful front garden, your visitors will chiefly look where they are going and that is to your front door. 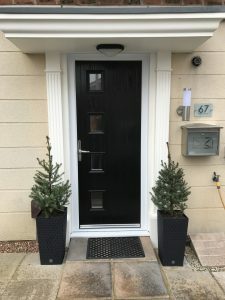 You need your front door to make a great first impression, and the doors that we build at Sovereign Home Improvements will certainly do that. 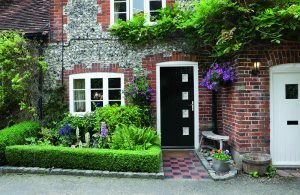 All front doors supplied by Sovereign Home Improvements are also ultra-secure. Many front doors are capable of being opened by a thief in ten seconds or less using simple DIY tools, but our doors are fitted with Ultion locks. If the door detects an attack it triggers a hidden lock within the door automatically which ensures that nothing will get past it. Ultion is the most secure locking system in the UK. Windows – Did You Know? Did you know that around 20% of heat escaping from your home is lost through its windows? Just imagine how much old, draughty windows might be adding to your heating costs. Energy efficient windows with double or even triple glazing will not only fill your home with natural light but keep your home secure and warm for years and years to come. A key investment for your household, replacement windows and doors not only make it a comfier and safer place to live but transform the way your home looks. Sovereign Home Improvements supply and fit replacement windows and doors to help you keep the heat in and intruders out. Get in touch today to find out whether your home is insecure. Windows & doors – Did You Know? Burglaries are increasing in your area, is your home secure? Burglary stats are through the roof at the moment and a high majority of these increased figures is from insecure door locks and handles. Burglars can use everyday tools to break into your home! Protect your most valuable asset and contact us today for a free quotation and chat about how we can assist. So keep those doors locked and secure. If you have doubts about the strength of your door, then please contact Sovereign Home Improvements today and let one of our security experts come and evaluate your home! Watch our safety video at the foot of the page…..